The masks of pre-modern civilizations were often colourful and graphic, designed to intimidate enemies and protect the wearer. Today modern hockey goaltenders wear masks that serve the same purpose. 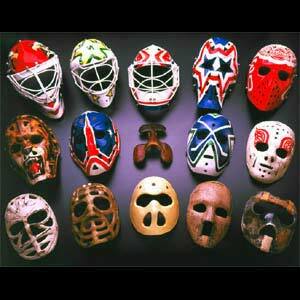 Many of these masks embody the personalities of the players wearing them or the teams they represent.